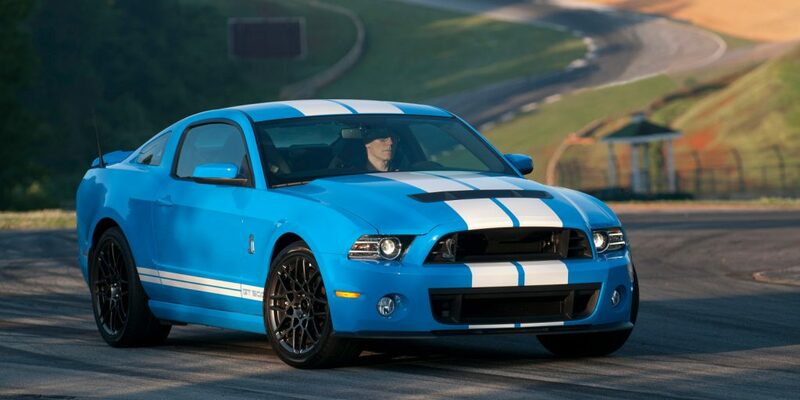 The 5.2-liter Voodoo V8 engine powering the new 2016 Ford Shelby GT350 is an engineering masterpiece. It represents the first flat-plane crankshaft V-configuration engine ever produced in Ford’s long and colorful history, and offers lightning-fast revability, a tremendously high volume-specific power output, and a monumental 8,250 RPM redline. In other words, the new Voodoo V8 is far too good not to reuse. But where is an automaker like Ford to put such an awesome, high-achieving powerplant? Let’s go through each and every valid candidate that comes to mind, and see if we can’t nail-down where we might see the 5.2-liter Voodoo V8 appear next. 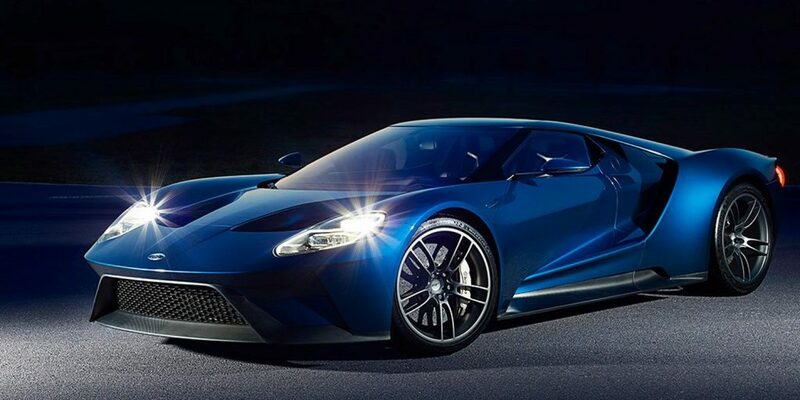 When the new 2017 Ford GT made its first public appearance at the 2015 Detroit Auto Show, the 3.5-liter EcoBoost V6 on the specs sheet raised more than a few eyebrows – even if it is race-derived. Ever since the Ford GT40 Mk. I of the 1960s, each GT-badged supercar to come from the Blue Oval has benefited from the presence of a potent, American V8 sitting somewhere behind the driver’s seat. Along came 2015, and a close-knit team of Ford Performance and Shelby American engineers had crafted the stratospherically-capable Voodoo V8 for the Shelby GT350; why wouldn’t it end up in the new Ford GT? Partly, the answer lies in the race-bred nature of the twin-turbo EcoBoost V6 that the supercar landed with; the engine has proven itself time and time again in the North American Tudor USCC racing series – a testament to the capability and versatility of the EcoBoost brand. And partly, the answer lies in Ford’s steadfast commitment to ensuring the success of its EcoBoost engine family. Between the 2017 Ford GT and the successful Chip Ganassi-run Ford EcoBoost race car, the automaker has found two very impressive, high-profile outlets for advertising its EcoBoost technology to the entire motoring world. A Voodoo V8-powered Ford GT would just get in the way. And then, of course, there are packaging concerns; the 2017 Ford GT wraps pretty tightly around its 3.5-liter EcoBoost V6. Much of the car would likely have to be entirely re-engineered to accomodate almost anything else. 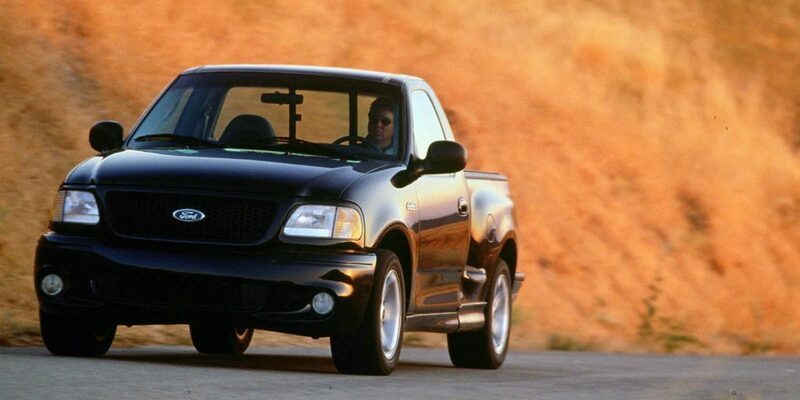 Rumors are afloat that among the Ford Performance division’s list of planned future models is a new Ford F-150 Lightning, reviving a nameplate which disappeared back in 2004. While the smart money might bet on such a future offering making due with the same 3.5-liter EcoBoost V6 as the 2017 F-150 Raptor, let’s not entirely discount the 5.2-liter Voodoo V8 just yet. For one thing, while the offroad-ready Raptor and street-wise Lightning may appeal to two very different subsets of pickup truck buyers, the folks at Ford Performance may want to differentiate the two models with more than just their respective suspension setups, rolling stock, accessories packages, and the like. The previous-generation SVT Raptor was separated from the Lightning by some 6 years of radio static; new iterations of both vehicles wouldn’t have the same luxury. Additionally, engineering a Ford Performance pickup truck with the attitude and athleticism of a sportscar might bring with it the desire to fit the street-bound hot rod with an engine that revs quickly, has a high redline, and offers the responsiveness of normal-aspiration: an engine like the Voodoo V8. Try as Ford might to quickly change the subject whenever it arises, we all know better; more than likely, a new Shelby GT500 Mustang will surface within the next couple of years. What better to power it than a forced-induction version of the GT350’s excellent 5.2-liter Voodoo V8? Absolutely nothing more suitable comes to mind. A Voodoo V8 with a supercharger could easily outdo the 662 horsepower produced by the 2013 Shelby GT500’s mill, and offer several other desirable characteristics to boot. For instance, the Voodoo’s lightweight engine internals and quick revability could nicely offset the parasitic draw of a supercharger pulley, and with its 8,250 RPM redline, any forced-induction variation of the flat-plane crank V8 would guarantee a positively colossal area under the torque curve. Translation: Speed! Speed! SPEED! The voodoo has 13:1 compression and cannot be boosted safely with those kind of compression numbers. If they did put it in the future gt500, the voodoo internals would definitely have to be completely redesigned with lower compression forged pistons, forged rods, different cams, and valve train to accommodate the boost. But yet is still very likely to be done.